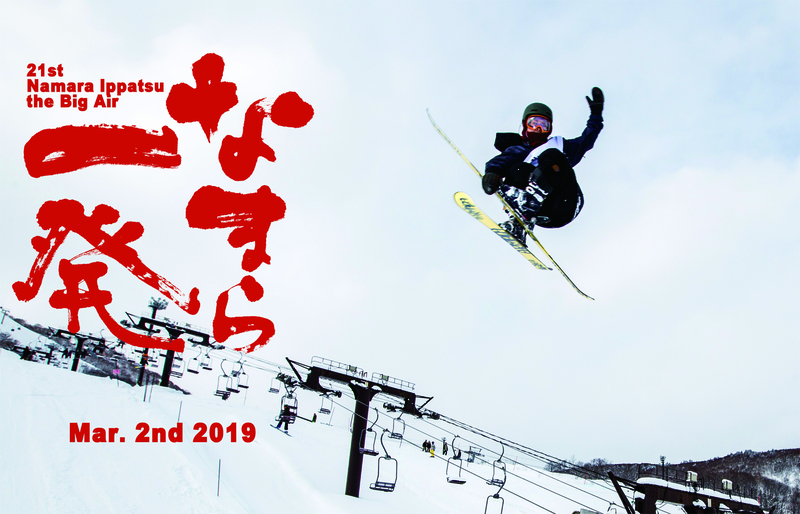 Niseko Grand HIRAFU’s time-honored Big Air contest has been held 19 times until now. The 21th Namara Ippatsu the BIG AIR on Mar. 2nd 2019. ・Open Class SKI (14m stepdown kicker) Max 40 entrants, aged 10 or above. ・Open Class SNOWBOARD (14m stepdown kicker) Max 40 entrants, aged 10 or above. ・Women’s Class (14m stepdown kicker) Max 20 entrants, aged 10 or above. ※Entry is limited to one class only. ※Participants from aged 10 and older will be eligible to compete in the Open Class and Women’s Class, but please be aware that the jump kicker will be adult-sized. <Web> Read and understand following documents and access Entry Form page shown in below.